Variety from Thailand, with 12-15 cm long fruits. Firm, very sweet and juicy. It has few or no seeds. 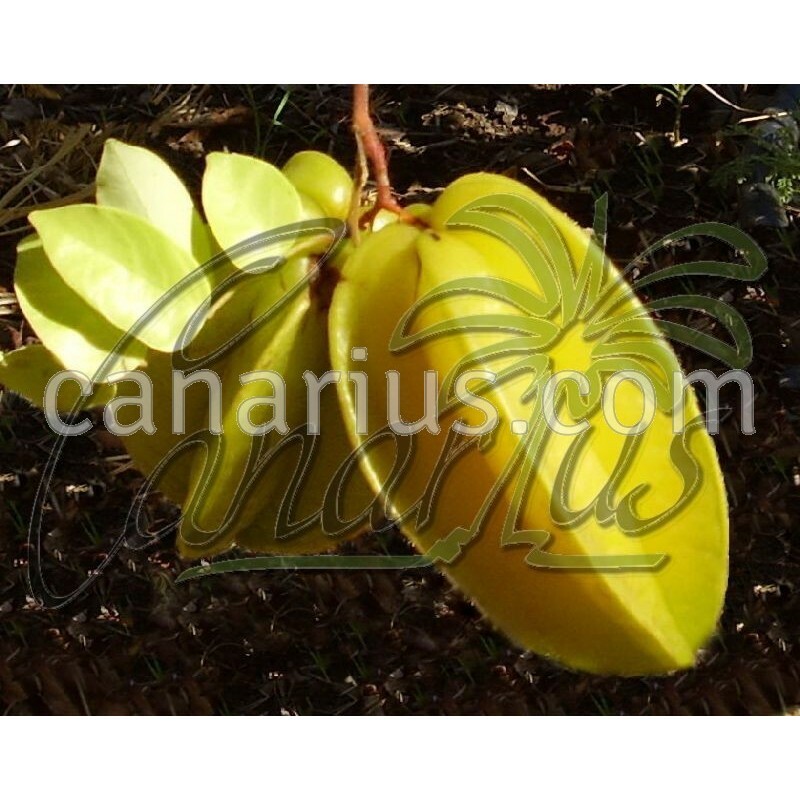 Carambola or "star fruit" is a tropical evergreen tree that can fruit outdoors in the warmer Mediterranean. 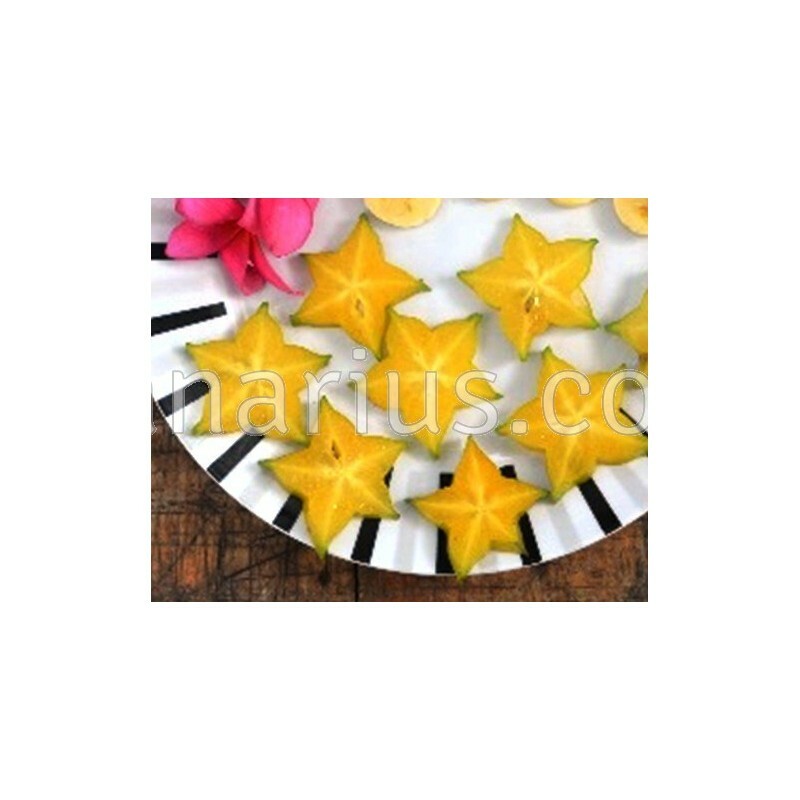 Sri Kembangan is a cultivar of Star Fruit from Thailand, with 12-15 cm long fruits. The flesh is firm, very sweet and juicy. It has few or no seeds.The variety "Sri Kenbangan" has bright yellow-orange fruit that is slightly elongated and pointed. Flavour is rich and sweet and gives it an excellent dessert quality.